David Gerrard is active as a performer, researcher and instrument builder. As an organist, he has held appointments at Canterbury Cathedral, Magdalen College, Oxford, and Paisley Abbey. Having worked extensively with the harpsichords and clavichords in Oxford’s Bate Collection and Edinburgh’s Russell and Mirrey Collections, David has given recitals on many significant historical instruments. 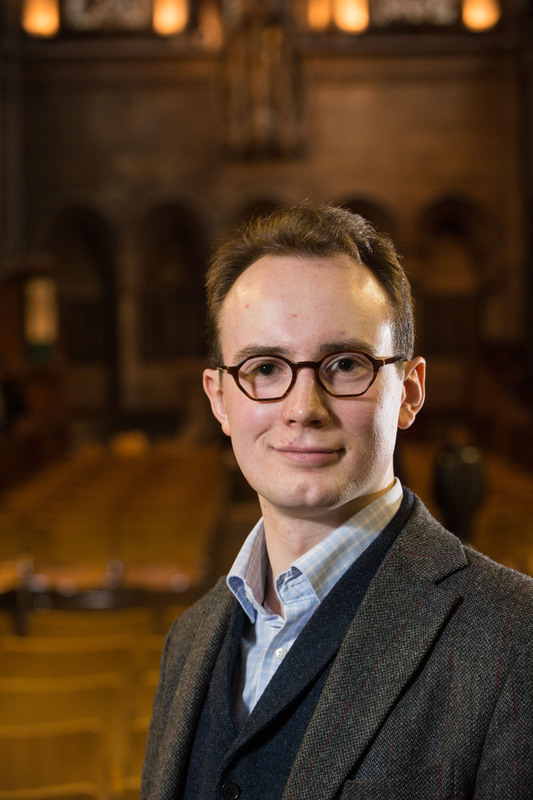 Currently based in Edinburgh, he is undertaking doctoral research, building early keyboard instruments, and performing with ensembles including the Dunedin Consort and the Scottish Chamber Orchestra.